Indoor Air Quality (IAQ) refers to the air quality within and around buildings, especially as it relates to the health and comfort of building occupants. Understanding and controlling common pollutants indoors can help reduce the risk of indoor health concerns. Sources of airborne contamination can exist both inside and outside building environments. Ozone and fugitive chemical emissions from electronic equipment and house cleaning solvents and human metabolic byproducts. Dirt accumulation in ventilation systems, combined with poor management of water, can lead to biological growth and serious IAQ problems. These conditions generally result from inadequate levels of par­ticle filtration, poor filter maintenance, and problems with cool­ing coil condensate, humidifiers or other sources of moisture. 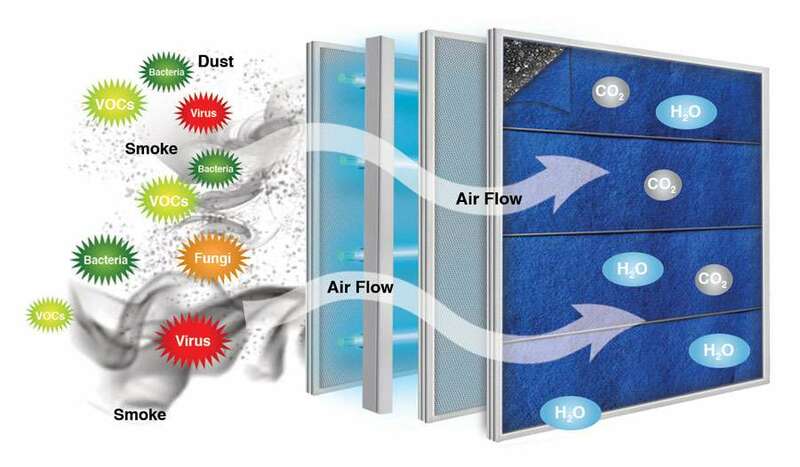 Various air purification strategies are available to the design engineer to selectively control these air contaminants. Solid particulate matter such as dusts, fumes and smokes can be treated through a variety of particulate filters with various efficiency (MERV) ratings. While particulate filters, such as HEPA filters, are effective in filtering particles down to the 0.3 micron size range (1 micron is 1/1,000,000 of a meter), they are ineffective against chemical contaminants such as gases and volatile organic compounds (VOCs) present at a molecular scale. Gas phase filtration utilizing activated carbon has been widely used for many years to control a wide range of gaseous contaminants and odors. Photo-catalytic oxidation (PCO) technology has been demonstrated to be effective in removing a wide range of volatile organic compounds (VOCs) and odors. 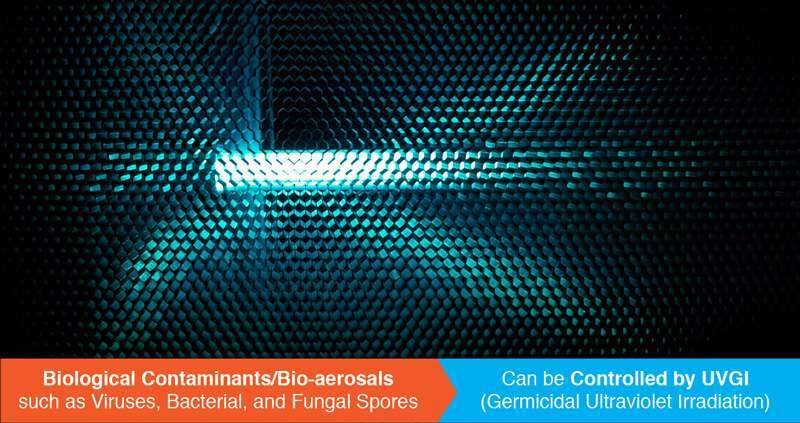 Biological contaminants or bio-aerosols such as viruses, bacterial, and fungal spores, can be controlled by using germicidal ultraviolet irradiation (UVGI). UV-C lamp systems and devices are used in air handing systems and in room settings for the purpose of surface and air disinfection. Upper-air (or upper-room) devices are installed in occupied spaces to control bio-aerosols in the space. In-duct systems are installed in air handling units in circulated air and to control microbial growth on cooling coils and other surfaces. 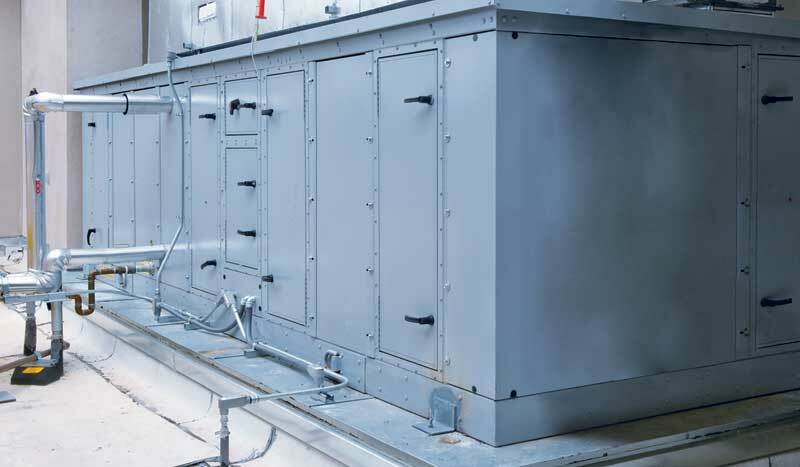 The air handling unit (AHU) is the heart of the HVAC system and typically houses the blower, heating and/or cooling coils, inlet air plenum and outlet air plenum to the building ductwork. AHUs vary in size from small room devices called terminal units to large commercial systems called roof top units. Conditions inside HVAC systems promote the growth of bacteria and mold on damp or wet surfaces such as cooling coils, drain pans, plenum walls, energy wheels, humidifiers and filters. Locations in and downstream of the cooling coil section are particularly susceptible because of condensation and carryover of moisture from the coil fins. The condensate forms on the coil surfaces and collects in the drain pan. 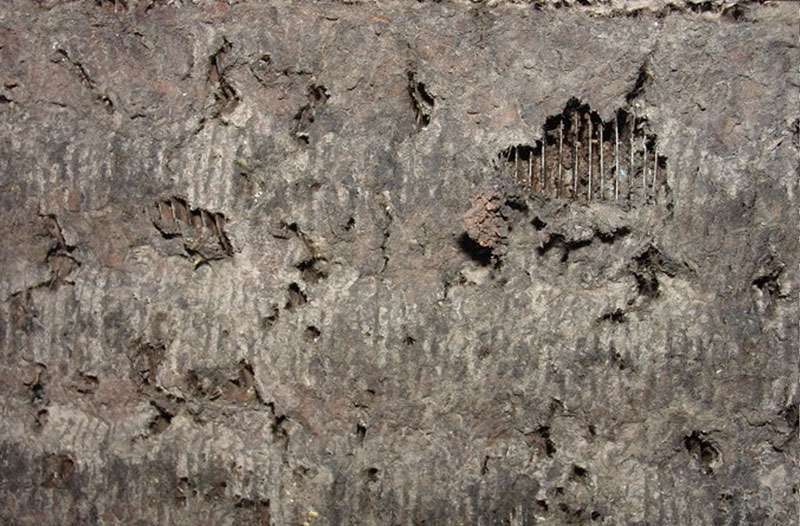 Over time a biofilm (slime) develops which consists mostly of mold growth on the coils and bacterial growth in the drain pan. With the HVAC system in the run mode, a portion of the accumulated mold and bacterial contamination can be released into the air stream and ultimately to the occupants of the building. Cooling coil fouling by biofilms may increase coil pressure drop, reduce air flow and reduce heat exchange efficiency. UV-C can be applied to compliment or even eliminate conventional coil cleaning procedures for the prevention of potential microbial growth as well as remediation of fouled coils. The UV-C wavelength inactivates microorganisms by damaging the DNA structure making them incapable of reproducing. An organism that cannot reproduce can no longer infect or cause disease. In a typical coil disinfection application, the UV-C system is configured and installed downstream of the cooling coil to irradiate the coil surface as well as the drain pan. With the UV-C lights continuously on, a large dose can be delivered to the coil surface with a low UV-C irradiance because of the essentially infinite exposure time, making it relatively easy to cost-effectively prevent the growth of bacterial and mold on the coil and drain pan surfaces. Coil surface irradiance levels as low as 1 microwatt/cm2 can be effective, although 50-100 microwatts/cm2 are more typical. Potential advantages of the UV-C coil disinfection include keeping the coil clean continuously rather than periodically restoring fouled surfaces, no use of chemicals, lower maintenance costs and energy savings as a result of improved HVAC system performance. Properly designed UV-C systems for cooling coil disinfection may also provide an additional benefit of disinfecting the air, if appropriate wattage and the other design considerations are taken into account. When a cooling coil is exposed to a properly designed UVGI system, the germicidal effect of UV-C energy on the microorganisms combined with the washing effect of the condensate clean the cooling coil of organic matter and restore healthy and efficient HVAC operations. UVGI's use in air disinfection dates back to the 1940's where it was used to control the spread of tuberculosis in hospitals. 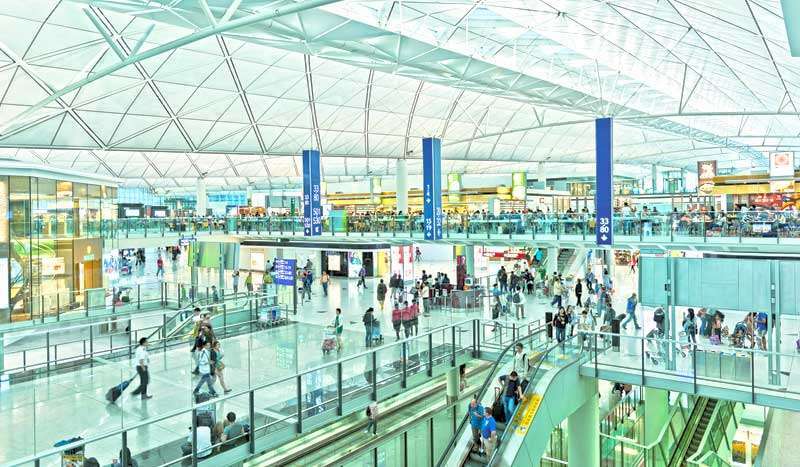 Today UVGI air disinfection has evolved to include sophisticated systems that disinfect air for residences, hospitals, commercial and industrial buildings, and public facilities such as airports. The types of UVGI air disinfection systems in use today include single room recirculation units that are mobile or wall mounted as upper-air units, and in duct mounted systems for heating, ventilation and air conditioning (HVAC) systems. Building air disinfection UVGI systems are typically located inside the air handling unit (AHU) or installed in the ducts supplying the air into the building. UVGI applications to disinfect moving air streams are commonly called "kill on the fly" where microbes traveling with the air stream are deactivated. The principal design objective for an in-duct air disinfection system is to deliver and uniformly distribute the appropriate UV-C dose to the air moving the irradiated zone. Proper design of a UVGI air disinfection system depends on many factors including air flow, temperature, type and size of HVAC equipment, UV lamp intensity, plenum reflectivity and target microbe. 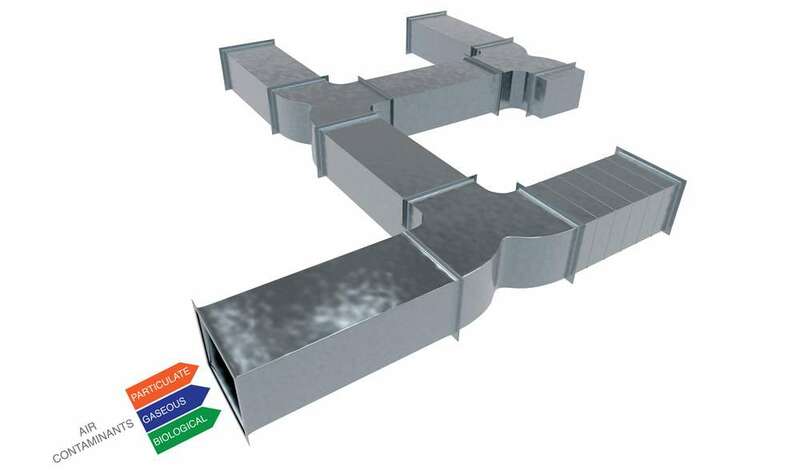 UVDI's sophisticated computer modeling program called V-Smart is necessary to design an efficient yet effective system for disinfecting air streams. When implemented correctly, UVGI has a proven track record of disinfecting air and protecting building occupants from air borne infection. Gases and vapors other than these natural constituents of air are usually considered to be gaseous contaminants. Their concentrations are almost always small, but they may have serious effects on building occupants, construction materials, or contents. The effects are problematic at different concentration levels for different contaminants. There are four categories of harmful effects: toxicity, odor, irritation, and corrosion or material damage. Removing these gaseous contaminants is often desirable or necessary. Gaseous contaminants are chemical compounds that can exist as free molecules or atoms in air. Molecules and atoms are smaller than particles and may behave differently as a result. Molecular size is measured in Angstroms (1 angstrom is 1/10,000,000,000 of a meter). As an example, the size of a benzene molecule is approximately 6 Angstroms or 0.0006 microns. Molecular filtration is a term used to describe filtration of these gaseous contaminants. Usually, the first three are favored because of cost considerations. However, in areas of poor outdoor air quality, one would be substituting one group of contaminants with another and even possibly increasing the total contamination load inside the building. Many chemical and physical processes remove gases or vapors from air, but those of highest current commercial interest to the HVAC engineer are physical adsorption and chemisorption through the use of various dry scrubbing media such as activated carbon, zeolites, activated alumina and silica gel. Other technologies and processes that are being effectively used for select applications are photocatalytic oxidation (PCO), bio filtration, wet scrubbing and ozone generators. One of the most effective means to eliminate organic compounds and gases is by the process of adsorption. Gas phase filters capture contaminants by physical adsorption or chemisorption. Physical adsorption or physio-sorption results from the intermolecular attraction (Vander Waals forces) of gas or vapor molecules to a surface. Due to the relatively weak forces involved, physical adsorption is (essentially) totally reversible. Adsorption is regarded as a surface phenomenon, whereby the removal capacity of a specific adsorbent is directly related to its total surface area. Activated carbon is considered as the universal adsorbent to remove gaseous organic contaminants. 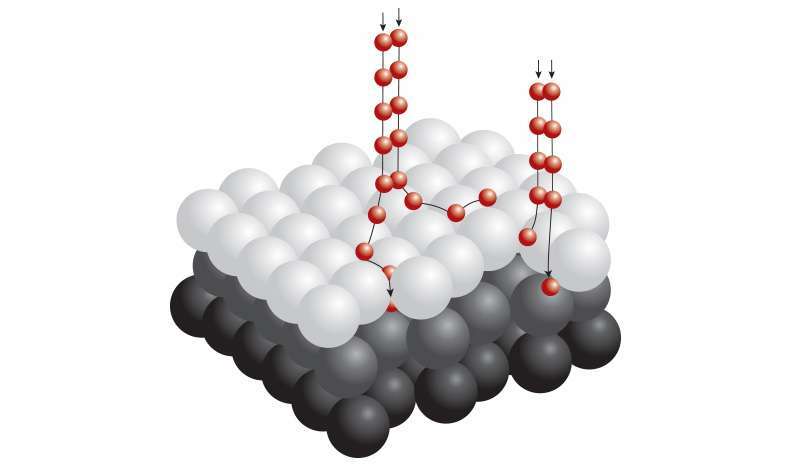 The main attributes of activated carbon are an extremely high surface area (up to 1400 square meters per gram), a highly irregular pores structure with pore sizes ranging from 5 to 500 Angstroms and a non-polar chemistry which enables adsorption of a wide range of chemicals preferentially to moisture. 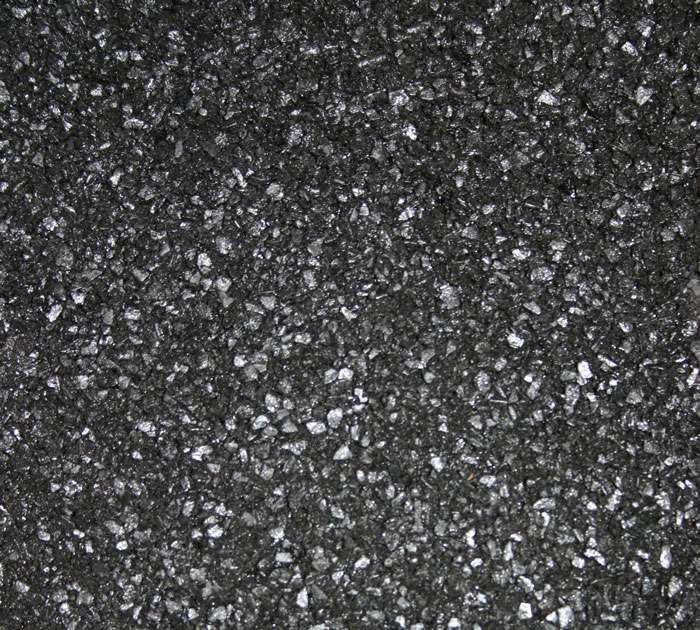 Activated carbon is derived from a variety of raw materials such as coal, coke, wood and coconut shells, each imparting its own unique characteristic making them suitable for specific applications. 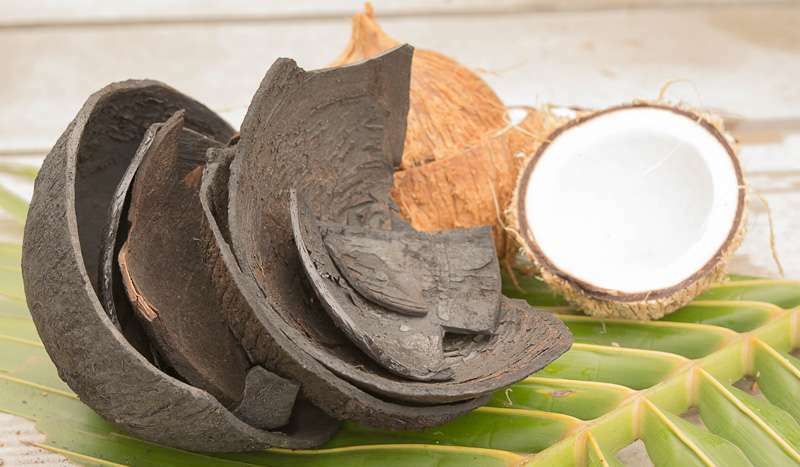 Amongst these, coconut shell based carbon is considered to be most suitable for gas phase applications due to high surface area, highest content of micro pores and low ash content resulting in high removal activity levels. Activated carbon works well under a wide range of temperature and humidity conditions, is inert, safe to handle and easily available in various particle (mesh) sizes. Activated carbon and other adsorbent materials do not adsorb all contaminant gases equally. Gases with high molecular weights (greater than 80) and high boiling points (greater than 100 F) are preferentially adsorbed over lower molecular weight and lower boiling points gases when present in the same air stream. The effectiveness of the adsorbents can be increased by impregnating them with various chemical impregnants. Chemisorption occurs when these impregnates react irreversibly with gases and form stable chemical compounds that are bound to the media as organic or inorganic salts, or are broken down and released into the air as carbon dioxide, water vapor, or some material more readily adsorbed by other adsorbents. Many different chemicals may be impregnated on activated carbon; potassium permanganate is a common chemisorbent, as it reacts with many common air pollutants, including formaldehyde and sulfur and nitrogen oxides. There are many factors affecting the removal of gaseous contaminants. The rate of adsorption depends on the rate at which adsorbate molecules reach the surface of the adsorbent, the percent of those making contact that are adsorbed, and the rate of desorption. Other significant factors include the type of adsorbents, adsorbent particle (mesh) size and bed depth, resistance to airflow, air velocity, concentration and characteristics of the contaminant(s) in the airstream, and the temperature and relative humidity of the air-stream. Gas phase filtration utilizing activated carbon adsorption is considered one of the most effective and economical for HVAC applications, where the concentrations are very low and the contaminant loading varies constantly. A wide range of filter formats and sizes are used ranging from refillable loose fill deep-bed systems to disposable bonded filter designs. One emerging technology that has received much attention for controlling VOCs and gaseous contamination is photocatalytic oxidation (PCO). Several attributes of PCO make it a strong candidate for indoor air quality (IAQ) applications. Pollutants, particularly VOCs, are preferentially adsorbed on a catalyst surface and oxidized to (primarily) harmless carbon dioxide (CO2) and water. Unlike activated carbon filtration, which merely transfers contaminants to a different phase (e.g. via adsorption onto activated carbon), and requires the replacement and disposal of consumed filter units, PCO systems are self-generating and have a service life of several years. Hydroxyl (OH*) radicals are a far stronger oxidizing agent than either ozone or chlorine, both well-known as strong oxidants, but toxic to humans. On the other hand, reduction of oxygen forms superoxide anions (O2-) which have intermediate oxidizing power. All these oxidizing species can cause complete oxidation of organic compounds to carbon dioxide and water. Hydroxyl radicals and super-oxide ions are highly reactive species that will oxidize volatile organic compounds (VOCs) adsorbed on the catalyst surface. The most common material employed in photo-catalysis is titanium dioxide (TiO2), due mainly to its corrosion resistance and low cost. TiO2 becomes active as a catalyst upon irradiation with a UV wavelength between 254-365 nm. PCO system designs often utilize a honeycomb reactor coated with titanium dioxide which provides high conversion rates coupled with low pressure drop, making it suitable for use in building heating, ventilating and air conditioning (HVAC) systems. A UV wavelength of 254 nm, referred to as ultraviolet germicidal irradiation (UVGI), is widely used in the industry to inactivate a wide range of microorganisms such as bacterial, virus and mold. The use of UVGI in a PCO system therefore serves a dual role of activating the photocatalyst as well as microbial disinfection. Photocatalytic reactors may be integrated into new and existing heating, ventilation, and air conditioning (HVAC) systems due to their modular design, room temperature operation, and negligible pressure drop. PCO technology is chemical free, has no residual ozone and also features low power consumption, potentially long catalyst life and low maintenance requirements. When a PCO system is designed and applied correctly, it is possible to reduce the supply of outdoor air without degrading indoor air quality. Such a reduction in ventilation requirements with concurrent energy savings and reductions in peak power consumption makes PCO a potentially attractive energy-conservation technology. The design and selection of a PCO system should be application driven, with each application focusing on the relevant gaseous/VOC contaminants taking into account the above selection criteria at the job site. PCO technology can also be synergistically combined with activated carbon technology for broader application use, whereby the PCO system targets the VOCs and odors and the activated carbon targets the heavier contaminant load. A well designed PCO system may be considered as a comprehensive air cleaning system incorporating multiple stages of filtration -particulate filtration, germicidal UV for microbial filtration and PCO for gas phase filtration. The technology is well suited for use in casinos and large commercial buildings, where the major concern with respect to occupant health and comfort are VOCs and odors. Our V-PAC™ is the Next Generation of Air Purfication - Learn More! ASHRAE Handbook (2015). HVAC Applications. Ch. 60: Ultraviolet Air and Surface Treatment. Bahnfleth W.P and Kowalski W.J (2004). Clearing the air on UVGI systems. RSES Journal, pp. 22-24. Brickener P.W, Vincent R.L, First M, Nardell E, Murray M and Kaufman W (2003). The application of ultraviolet germicidal irradiation to control transmission of airborne disease: Bioterrorism countermeasure. Public Health Report 118 (2):99-114. Montgomery R and Baker R (2006). Study verifies coil cleaning saves energy. ASHRAE Journal 48 (11):34-36. Reed N.G (2010). The history of ultraviolet germicidal irradiation of air disinfection. Public Health Reports 125:15-27. Witham D (2005). Ultraviolet-A superior tool for HVAC maintenance. IUVA Congress, Tokyo. Miller S.L and Luongo J (2016). Ultraviolet germicidal coil cleaning: Decreased surface microbial loading and resuspension of cell clusters. Building and Environment 105, pp. 50-55. Miller S.L Brownstein J and Luongo J (2017). Ultraviolet germicidal coil cleaning: Impact on heat transfer effectiveness and static pressure drop. Building and Environment 112, pp. 159-165. Foarde K, Osdell V (2002). Use of in-duct UVC lamps to inactivate airborne environmental bacteria and fungi. Proceedings Indoor Air. pp. 378-382. Schier B, Levetin E, Shaughnessy R, Rogers C.A (2001). Effectiveness of Germicidal UV Radiation for Reducing Fungal Contamination within Air-Handling Units. Applied and Environmental Microbiology, 67 (8) pp. 3712-3715. Kowalski W.J, Bahnfleth W, Witham D, Severin B.F, Whittam T.S (2000). Mathematical Modeling of Ultraviolet Germicidal Irradiation for Air Disinfection, Quantitative Microbiology 2, pp. 249-270. Wang Y & Sekhar C & Bahnfleth W & Cheong W.D & Firrantello J (2016). Effects of an ultraviolet coil irradiation system on the airside heat transfer coefficient and low ΔT syndrome in a hot and humid climate. Science and Technology for the Built Environment. 1-12. 10.1080/23744731.2016.1232115. Wang Y & Sekhar C & Bahnfleth W & Cheong W.D & Firrantello J (2016) Effectiveness of an Ultraviolet Germicidal Irradiation System in Enhancing Cooling Coil Energy Performance in a Hot and Humid Climate. Energy and Buildings. 130. 10.1016/j.enbuild.2016.08.063. Firrantello J & Bahnfleth W & Kremer P (2017). Field measurement and modeling of UVC cooling coil irradiation for HVAC energy use reduction (RP-1738) – Parts 1&2: Field measurements. Science and Technology for the Built Environment. 10.1080/23744731.2017.1402662. NAFA Guide to Air Filtration, 5th Edition, (2014). Chapter 11: Airborne Molecular Contaminants and Chapter 14: Ultraviolet Germicidal Irradiation, Photochemical Oxidation. Tompkins D.T and Anderson M.A (2001). Evaluation of Photocatalytic Air Cleaning Capability- A Literature Review & Engineering Analysis. ASHRAE Research Project RP-1134. Hodgson A.T, Sullivan D.P, and Fisk W.J (2005). Evaluation of Ultra-Violet Photocatalytic Oxidation (UVPCO) for Indoor Air Applications: Conversion of Volatile Organic Compounds at Low Part-per-Billion Concentrations. Lawrence Berkeley National Lab. LBNL- 58396. Hodgson A.T, Destaillats H, Hotchi T and Fisk W.J (2007). Evaluation of a Combined Ultraviolet Photocatalytic Oxidation (UVPCO) /Chemisorbent Air Cleaner for Indoor Air Applications. Lawrence Berkeley National Lab. LBNL- 62202.